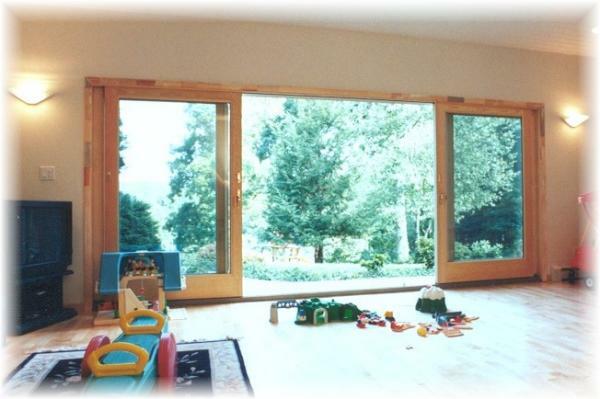 PROJECT DESCRIPTION: Remove existing 6' gliding doors, window and partition wall; create new opening to accommodate new Anderson 16' gliding doors. Scope of work includes all structural, electrical and heating alterations, drywall and siding work, painting and disposal of all debris from premises. DETAILS: When "we" talk about connecting with the outdoors, this is what we're talking about! The owners could no longer be cut off from their gorgeous backyard and private lake. The children can also enjoy their new playroom. 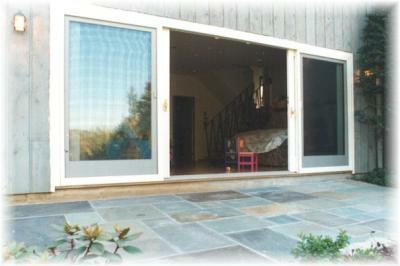 I would like to thank you for the installation of our 16 foot sliding doors. We appreciate your attention to our concerns and are very happy with the results. We would definitely use Absolute Remodeling again. Please feel free to use us as a reference. We would be glad to tell others of your professional attitude and the quality care and attention you put into our job. Again, thanks and we look forward to doing business with you in the future. Eddie and Peggy Wong, September 1997.